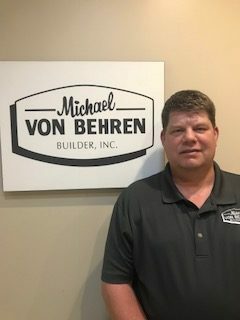 Meet The Team | Michael von Behren Builder, Inc.
Born and raised in Springfield, Mike and Cheri are founders of Michael von Behren Builder, Inc. They built the business from its start as a one-employee company in 1982. 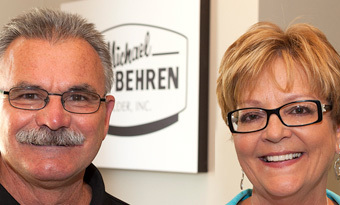 Since then, the business has grown, fueled by Mike and Cheri's passion for high quality construction. They know how to make projects happen on time, on budget, with the least possible disruption to their customers' lives. In fact, Remodeling Magazine recognized the company as one of the Big 50 remodeling firms in the United States. The Greater Springfield Chamber of Commerce named Michael von Behren Small Business Owner of the year. 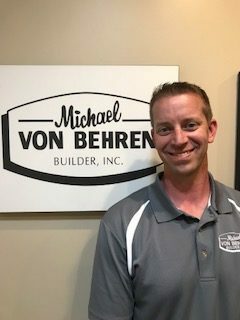 Year after year, Michael von Behren Builder, Inc. is recognized for their outstanding building and remodeling work. 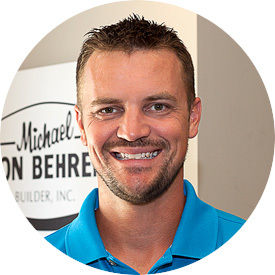 Aaron joined the Michael von Behren team in 2006. Today, he has transitioned to owner and he continues to be the Construction Manager. Aaron makes quick decisions and removes roadblocks when unexpected delays threaten project progress. It's why our clients love him. He earned an Associate Degree in Construction Management Technologies from John A. Logan College. Later, he earned a Bachelor of Science Degree in Resource Management Technology with an emphasis in Construction Management from Southern Illinois University. Aaron and his wife have three children, Jayden and twin girls Adalyn and Amelia. Bob Stoleis has joined the MVBB team as a Project Manager. Bob has over twenty years experience in the construction field bringing knowledge of new home construction, remodel work and management to our team. Bob has enjoyed helping families build and remodel their homes and businesses all around Central Illinois. He keeps up with the latest trends. Bob resides in Chatham with his wife. Jared joined the MVB team February 2017. He has been in the construction industry for the last twenty years. He understands the project in many different aspects as he started his construction career as a lead carpenter. He also spent time as a site superintendent. He looks forward to working with clients on their projects. He is careful with his work and builds relationships with clients during the building and remodeling process. Jared resides in Springfield with his wife and two boys. 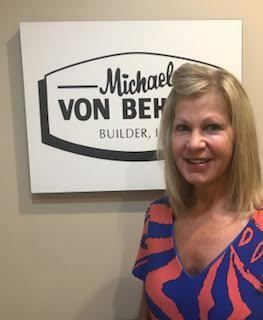 Kim has joined Michael von Behren Builder as their Controller with her background including over 30 years experience working in the construction industry. Her expertise in this field makes her a great asset to the MVBB team. In her spare time, she enjoys traveling and spending time with her son and family. 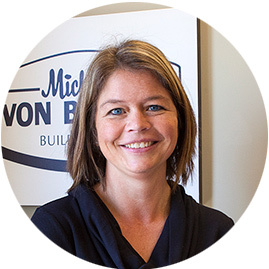 Lynn works as the in-house designer working closely with the MVB Builder project management and Construction teams as well as clients to collaborate on new project designs. Lynn earned a Bachelor degree in Interior Design from The University of Illinois at Champaign-Urbana. She has been involved in the Kitchen and Bath design and Home Construction Business for 23 years. Lynn is the mother of 4 children. She enjoys spending her free time watching them in their many athletic events. Find out more about potential employment opportunities.